structure,we aim to deliver outstanding construction by utilizing the best-in-class concrete material. With a team of best concrete contractors in Caledonia, we have earned an industry reputation for constructing durable stamped concrete driveways. Whether you want a deck, patio, sidewalk or stairs, our contractors are experts in designing and building them all using high quality concrete material. 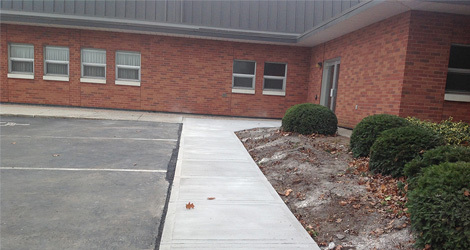 At Reinforced Concrete, we expertise at constructing stamped concrete driveways and walkways in Caledonia. Our team is skilled in designing modern structures to bring your next dream concrete project to life. We install exposed aggregate walkways, broom finish patios and smooth finish driveways that are quite durable and long lasting. If you are looking for a cost-effective alternative for durable asphalt or natural structures, concrete is the go to choice. With the experience of our team, we turn your vision concrete structure into an ultimate reality. Call Us To Get A No-Obligation Quote!